Diabetes is a growing global epidemic, with over 400 million affected and cases expected to double in the next 10 years. Retinopathy, or damage to the blood vessels in the retina, occurs in most patients with type 1 diabetes and 75 per cent of patients with type 2 diabetes, leading to vision loss for many. BetaStem Therapeutics is a stem cell therapy company led by Dr Stephen Bartelmez. Their aim is to treat diabetic retinopathy by using the body’s own stem cells to repair the damage to retinal blood vessels caused by diabetes. The macula is a part of the retina, located at the back of the eye. Although very small (about 5mm in diameter), it is responsible for most aspects of our vision, including colour vision and the fine detail of what we see. 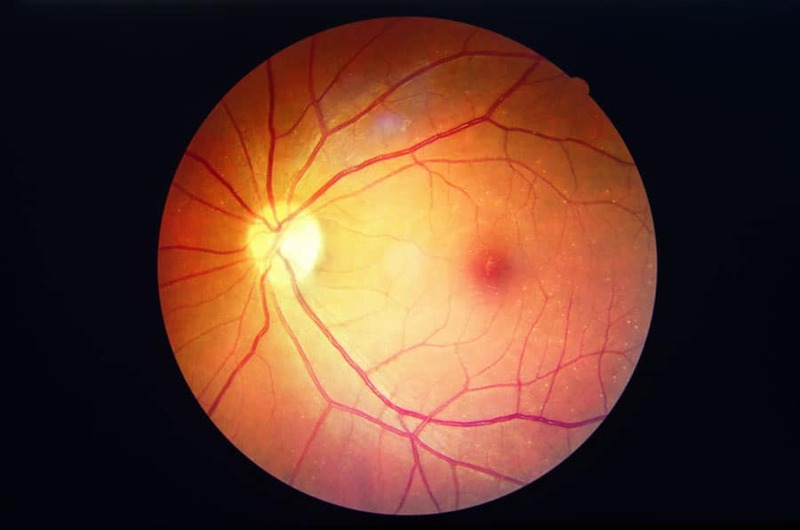 Diabetic macular oedema is a swelling of the retina as a result of fluid leakage from damaged blood vessels within the macula caused by the diabetes. In addition, macular ischemia (inadequate blood supply) can eventually result in diabetic retinopathy (DR), or damage to the blood vessels at the back of the eyes. DR is one of the leading causes of blindness in adults, and currently there is no effective treatment to repair cells and blood vessels damaged as a result of the disease. The difference between a healthy eye and the eye of a diabetic patient suffering from retinopathy. The damage to the retina eventually causes loss of vision. In healthy people, blood vessels are constantly regenerated by cells derived from circulating CD34+ stem cells. These stem cells are generated in the bone marrow and released into the bloodstream and express the protein CD34+ on their surface. They divide and mature into all nine types of blood cells plus give rise to another cell type, endothelial cells, the building blocks of all blood vessels. The stem cells and endothelial cells migrate to lesions on blood vessels and facilitate repair. However, during the course of diabetes, the patient’s CD34+ stem cells become dysfunctional: they can no longer give rise to endothelial cells or regulate repair of damaged blood vessels, both in the retina, and in the rest of the body. All blood cells are derived from haematopoietic stem cells in a process known as haematopoiesis. This takes place in the bone marrow, and in a healthy adult, approximately 50 to 70 billion new blood cells of nine different types are produced each day. To generate all these cells requires a complex series of events involving many positive and negative signals from the surrounding tissue as well as within the stem cells themselves. Retinopathy can cause vision loss and even blindness. Transforming Growth Factor beta 1 (TGF-β1) is a small protein secreted by many cells in the body. Classified as a cytokine (a type of small protein important in cell signalling in blood and immune cells), Dr Bartelmez and colleagues found that TGF-β1 is a major regulator of haematopoiesis. TGF-β1 finely inhibits cellular divisions at major cellular checkpoints. Their work has helped elucidate the key roles of TGF-β1 in stem cells in human blood and bone marrow. Using blood samples taken from mice as well as humans, the scientists were able to separate CD34+ stem cells from other blood cells present and grow them in the lab. Next, by treating the cells ex vivo with an antisense phosphorodiamidate morpholino oligomer (PMO) the scientists could inhibit TGF-β1 for a short period of time in the stem cells. A PMO is a small DNA analogue which temporarily blocks the stem cells from making a targeted protein. The scientists studied different techniques to deliver PMO into cells which included syringe loading, micro injection, and by combining the PMO with fat molecules containing a positive charge, known as cationic lipids. However, the best method for uptake of TGF-β1-PMO into stem cells was found to be unassisted entry. Thus CD43+ stem cells were incubated with the PMOs overnight at 37 degrees Celsius during which time the TGF-β1-PMO was taken up by endosomes on the surface of the stem cells. The temperature of the incubation as well as the concentration of the PMO was found to be important. Stem cells in the process of dividing. This technique actually transiently inhibits the TGF-β1 in the CD34+ stem cells. It acts as a switch to first inhibit the TGF-β1 then the stem cell reacts to this inhibition by upregulating the TGF-β1 gene mRNA -TGF-β1. Next, the PMO is effluxed from the stem cell causing a burst of TGF-β1 protein production. The protein was found to have many functions. These include the ability to: stimulate or prevent cells from dividing; promote cells to self-destruct or differentiate (change to another cell type); or prevent these molecular pathways from occurring. One key finding was that transient TGF-β1 inhibition induces a balance between CD34+ cell growth, division, maturation, and periods of cell inactivity. The team found that TGF-β1 regulates mouse and human blood stem cells in the lab and in the body in a number of ways. In humans, Dr Bartelmez identified three markers of enhanced stem cell activity that increase after PMO treatment of stem cells: 1) increased levels of CXCR4, a protein necessary for stem cell homing and adhesion; 2) increased Nitric oxide production, which is required for cell mobility; and 3) increased ability of CD34+ cells to migrate and repair vascular lesions. Image of a retina showing signs of diabetic retinopathy. The group also studied how long-term CD34+ haematopoietic stem cells were able to regenerate and repopulate the bone marrow in mice after inhibition of TGF-β1. They found that after lethal irradiation, they were able to use as few as sixty of these cells to rescue mice from death (>20,000 untreated stem cells were required to achieve the same result). In addition, they found that when the retina of mice was injured due to insufficient blood flow, and the TGF-β1-PMO treated CD34+ stem cells were introduced into the eye, the recruitment of diabetic CD34+ cells to injured retinal capillaries dramatically increased when compared to non-treated stem cells. TGF-β1 helps to maintain the balance between CD34+ cell growth, division, maturation, and periods of cell inactivity. The goal of BetaStem Therapeutics is to use the diabetic patient’s own CD34+ to treat their retinopathy. They aim to do this by first isolating the CD34+ stem cells from the patient’s blood and then correcting the dysfunctions in the CD34+ stem cell ions by temporarily inhibiting the patient’s TGF-β1 by incubating the CD34+ cells for 16 hours ex vivo with PMO. This process rehabilitates the CD34+ stem cells which are then introduced back into the patient’s eye. Here, the CD34+ stem cells specifically bind and repair the damaged blood vessels in the retina. The use of PMO is a feasible approach due to its ability to enter haematopoietic stem cells and transiently inhibit TGF-β1 signalling. PMOs do not “touch” the TGF-β1 gene itself: they merely bind to the TGF-β1-mRNA and block it from translation to the protein. The half-life of the PMO is short and the stem cell rapidly effluxes the PMO-mRNA complexes. The molecules also have an excellent safety profile. Diabetes is a risk factor for retinopathy but it can be caused by other conditions such as long-term elevated blood pressure. Transient, or brief, inhibition of TGF-β1 may lead to the treatment of other vascular complications and could potentially improve current bone marrow transplantation processes used in the treatment of blood cancers. The treatment poses a very low risk of adverse events. However, challenges remain, particularly when it comes to the selection of animal models that can help predict the human response to this treatment. BetaStem Therapeutics is now preparing to test TGF-β1 inhibition in diabetic patients for the first time in a clinical trial. The next goal for the company will be the development of methods in the lab to further study TGF-β1 in haematopoietic stem cells. Moving forward they will develop culture conditions in which cell division of latent stem cells is stimulated while their maturation and ageing is prevented, in the presence of either TGF-β1-PMO or TGF-β1-inhibiting antibodies. What are your aspirations for BetaStem Therapeutics as a company over the next five years? We previously have had a “pre-IND” meeting with the US-FDA in preparation to complete our IND to proceed with our first patient studies. With sufficient funding, our goal to test the safety and efficacy in diabetic patients with retinopathy looks realistic. Dr Charlie Garcia (Ophthalmologist in Houston, Tx) has been working with us for over four years and is helping design a clinical trial. He has been working with patients with diabetic retinopathy for more than 40 years. Currently, there are no effective treatments, making this an important unmet need. So far, the stem cells look promising. Sitnicka E, Ruscetti FW, Priestley GV, Wolf NS, Bartelmez SH. (1996) Transforming growth factor beta 1 directly and reversibly inhibits the initial cell divisions of long-term repopulating hematopoietic stem cells. Blood. Jul 1;88(1):82-8. PubMed PMID: 8704205. b.
Ruscetti FW, Bartelmez SH. (2001) Transforming growth factor beta, pleiotropic regulator of hematopoietic stem cells: potential physiological and clinical relevance. Int J Hematol. 2001 Jul;74(1):18-25. PubMed PMID: 11530800 c.
Ruscetti FW, Akel S, Bartelmez SH. (2005) Autocrine transforming growth factor-beta regulation of hematopoiesis: many outcomes that depend on the context. Oncogene. 2005 Aug 29;24(37):5751-63. PubMed PMID: 16123808. d.
Bartelmez, S., Storey, C., Iversen, P., Ruscetti, F. (2016) Transient inhibition of endogenous transforming growth factor ß1 in hematopoietic stem cells accelerates engraftment and enhances multi-lineage repopulation efficiency. J Stem Cell Res Ther 1::00045 D01 f.
Stephen Bartelmez, PhD, is the founder of BetaStem Therapeutics. He completed his immunology training at UC Berkeley & University of Glasgow and his stem cell training at Einstein College of Medicine, NYC. Following this, he sailed to Australia to work with Ray Bradley PhD, the father of modern blood stem cell research. Dr Bartelmez is a former member of faculty at Hutchinson Cancer Research Center, U. of Washington, ViaCell Inc. He founded BetaStem Therapeutics Inc. in 2006. BetaStem Therapeutics aims to treat diabetic retinopathy using a patient’s own stem cells.